Crunchy, creamy & zesty! This super easy salsa uses 5 ingredients and is prepped in under 5 minutes. Perfect addition to any protein dish and also tastes great on it’s own. 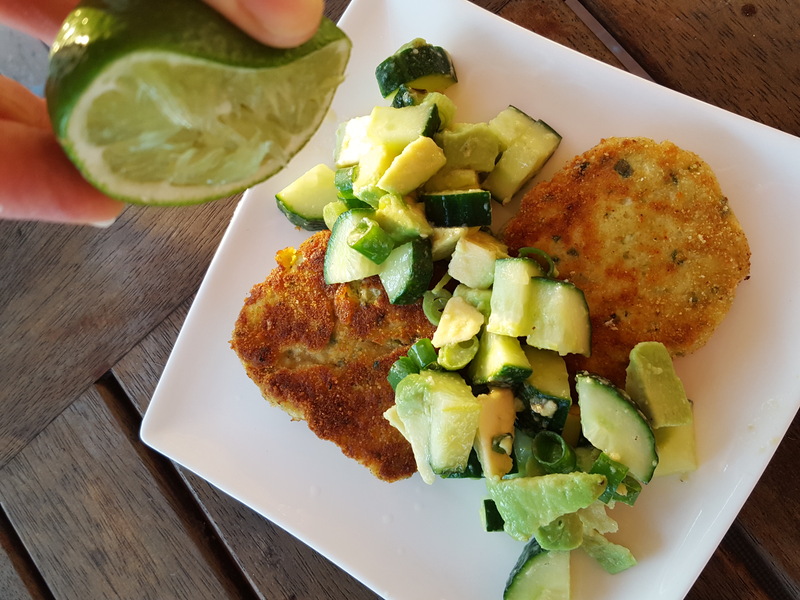 The lime is unique and adds a boost of vitamin C to your meal, that also aids the absorption of essential mineral iron. In a large bowl, add the ingredients leaving the salt & pepper. Mix gently until cucumber and avocado are covered in liquids.